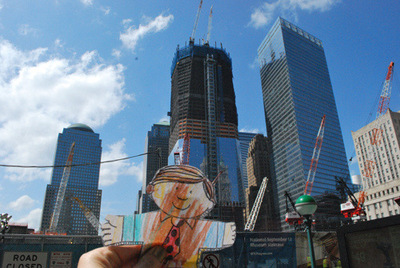 My dear cousin Sophie sent me a Flat Stanley for her kindergarten class, and I kept forgetting to do it. 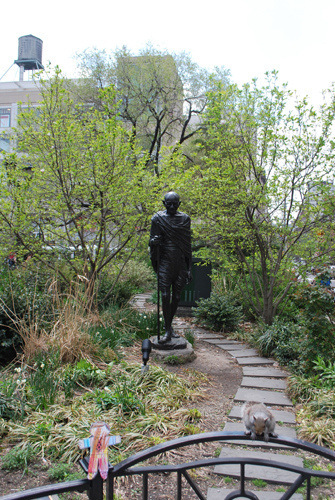 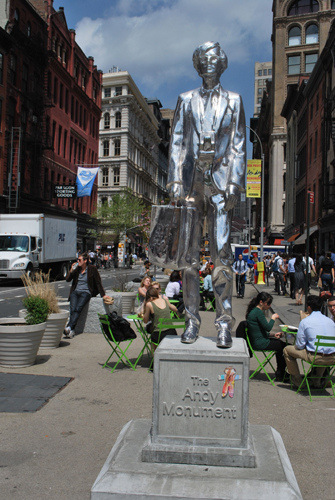 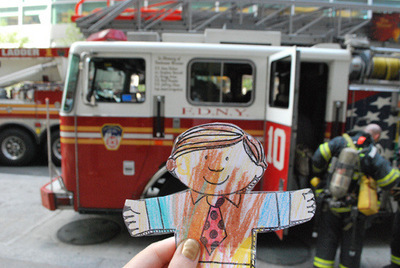 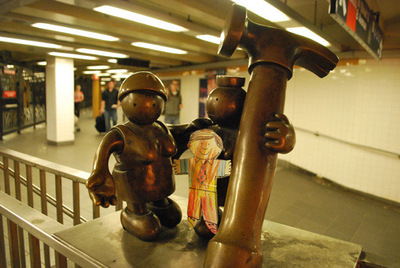 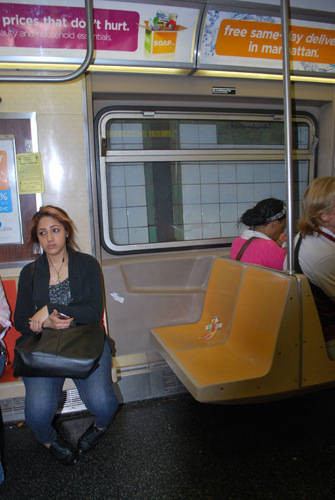 My submission was so late, that I decided I had to do an extra special job of taking Flat Stanley to NYC’s hotspots. 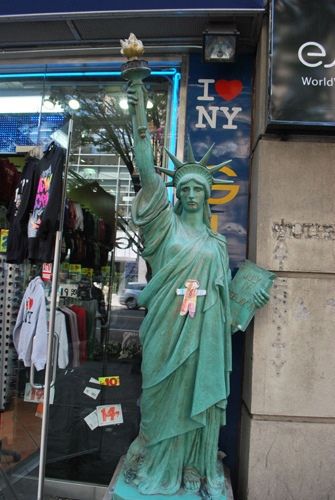 The more I trekked around the city with Sophie’s crayon colored, laminated Flat Stanley, the more I realized that I was doing one of my everyday life performances. 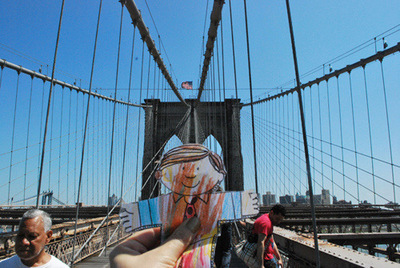 I took Flat Stanley from MyHouse in Bushwick to Union Square, Herald Square, the Empire State Building, City Hall, the Brooklyn Bridge, Ground Zero, Lincoln Center, and more, photographing his adventures to send to Sophie and document as yet another of my Found Performances.